Today InstaForex Company is acknowledged as broker №1 in Asia, according to World Finance Media magazine. In October 2009 World Finance magazine has also summarized the established reward World Finance Award, on the results of which InstaForex Company was entitled as "Best Broker Asia". You can register a live trading account on the Open of trading account page. You are free to open an account in any currency to receive the bonus. *The use of this bonus is restricted, so please carefully read specifications. The Company recommends to consider more conservative types of bonuses for trading. * - Special bonus accrual rules apply to deposits above $2,000. For more details, please read the 100% Bonus Agreement. Special offer is open until 28 February 2015. 10 days left. In order to credit bonuses to his clients’ account, a trader should enter his account number, a password and a coupon code filling a form on InstaForex official website. Contest title - "InstaForex Sniper" (hereinafter - Contest). The Contest is organized by InstaForex Group (hereinafter - Organizer). 5 place - 100 USD. You can register for the next weekly contest during the week preceding it. Registration finishes 1 (one) hour before the Contest starts. The resulting data is recorded at 12:00 GMT+02 on Saturday. The daylight saving time starts according to the U.S. standard on the second Sunday in March and ends on the first Sunday in November. Every owner of a trading account with InstaForex Company can take part in the Contest weekly (hereinafter - Participant). Every Participant shall sign up on the InstaForex website. Initial deposit is 10.000 USD for all Participants and it cannot be changed. Other trading terms for the contest trading accounts are the same as for the live trading accounts with InstaForex. The biggest deposits holders will be announced as winners. In order to obtain a prize, each winner shall fulfill the following requirement: at least 5% of the total profit has to be derived from trading results on GBPUSD and 5% of the total profit from trading results on GBPJPY. The winner acknowledges liability for any activity on the account opened by the Contest and Campaign Administration or by the winner himself lying within the scope of the agreements and regulations of InstaForex Group. A trading account is charged off automatically at filing an application for withdrawal. At considering the application the specialists make sure that the balance and free margin comply with the amount of funds available for withdrawing. In case of incompliance the sum specified in the withdrawal application is credited back to the account. InstaForex announces a start of a new super campaign Sport Style: Porsche Cayman from InstaForex, the main prize is an elite supercar of premium class Porsche Cayman. The campaign Sport Style: Porsche Cayman from InstaForex begins on April 22, 2013 and comes to an end on October 19, 2015. Every client of InstaForex, who uploaded over $1,500 into a trading account and registered on the contest page, can partake in a fight for a stylish automobile produced by a famous German company Porsche AG. If you have fulfilled these uncomplicated conditions, you have a chance to become the owner of a brand-new Porsche Cayman in autumn of 2015! The winner of the campaign Sport Style: Porsche Cayman from InstaForex will be determined randomly with the help of a transparent algorithm using so-called Porsche number. So everyone has equal chances of winning! Find out the details of Sport Style: Porsche Cayman from InstaForex on the official webpage of the campaign. Sport Style: Porsche Cayman from InstaForex is one of the contests and campaigns held by InstaForex with the total prize pool of over $500,000. If you are InstaForex client, you can win a part of this amount, or even become the owner of a super sport car Porsche Cayman. We have launched the new season of the InstaForex Great Race 2015 contest. This contest is run among demo accounts. Why not meet a challenge? If you have just turned your hand to trading on Forex, this contest is tailor-made especially for you. The tournament consists of 4 monthly steps and a final. The total prize pool is $55,000. For your reference, every holder of an InstaForex demo account is welcome to take part in the contest. Please be aware that you need to register a new demo account for each new step. Winners in all four steps get prize money as well as bonus scores which can be used in a final stage. So, one bonus score adds $1,000 to a start-up deposit. Participants of previous steps of InstaForex Great Race should send an email to tournament@instaforex.com to credit bonuses to a final account. Results of the four steps will determine a winner. The owner of the largest deposit will be awarded $6,000. Below, we post the full list of all contestants of Instaforex Great Race 2015. If you cannot find your name in this list, you should contact the contest administration by e-mail: tournament@instaforex.com. Trade with InstaForex, get free devices! Below is the list of participants registered for the current Lucky Trader contest held among demo accounts. The contest is held every two weeks. You can register for the next step of the contest right now, during the current tournament. Every two weeks the prize pool of $3,000 is divided among the winners. The annual prize pool amounts to $75,000. Follow the link below to read the rules of the Lucky Trader contest. You can register for the next step of the Lucky Trader contest clicking the Registration link. Your nickname will appear in the list of Lucky Trader participants within a couple of hours after the registration. InstaForex is glad to announce that the start of the sixth annual online beauty contest Miss Insta Asia 2015 has already started. First of October is good tradition of launching every international beauty marathon of InstaForex. During its existence, the popular contest Miss Insta Asia has gained a huge number of fans, and most importantly - beautiful participants from around the world. Connoisseurs of beauty will see even more charming ladies from different countries: Indonesia, Malaysia, the Philippines, Iceland, the UK, the US, Russia, Ukraine, Latvia, Iran, India, and China. Dive into the world of beauty. Vote for one or several contestants you like most! The format, terms and rules of the online beauty contest are the same. The victory and prize pool of $45,000 will be shared between Miss Insta Asia, two Vice Misses, Forex Lady, and Insta Choice. The most beautiful ladies will be determined by the results of an open online voting. Note that InstaForex traders have a privileged vote. Maybe it will be you to determine the distribution of places for the most gorgeous contestants of Miss Insta Asia 2015. Final of the sixth season of the beauty contest will be held in a year - October 1, 2015. On this day five girls from around the world will confirm their status beauties in the contest Miss Insta Asia. If you want to take part in the sixth season of the contest and jostle for the title of Miss Insta Asia 2015 or if you want to influence the current rating of the contestants, welcome to miss-instaforex-asia.com. InstaForex Group weekly raffles $1,000 within the Chancy Deposit campaign. Get a chance to win by depositing $3,000 to a trading account with InstaForex Company. Having fulfilled this condition, you can become a Campaign participant. Every week one trading account chosen in a random way is announced as winning and credited with $1,000. So, you can keep working on Forex in your usual mode enjoying the best trading terms InstaForex Company ensures and an opportunity to become one of lucky winners of $1,000. The Chancy Deposit campaign is held within the series of InstaForex contests and campaigns with the total annual prize over $500,000. Being an active customer of InstaForex Company, you may win your piece of the prize cake! Below is the list of participants registered for the current step of the FX-1 Rally contest held by InstaForex Company. You can register for the next step of the contest right now clicking the Registration button. You will see your nickname in the list of FX-1 Rally participants within a couple of hours after the registration. If you have any questions about contests held by InstaForex Company, send an email to the Contest and Campaign Administration: tournament@instaforex.com. I have traded with them for few months. I believe anyone regarding Instaforex as scam is a newbie. 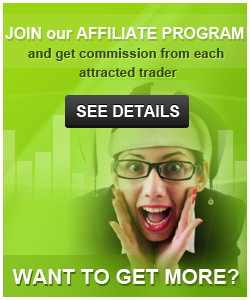 Instaforex is a very good broker.They are very constant, good account managing. I got well supported 24Hrs from the live support. Withdrawal also get well as promised. My withdraw USD800; USD300 and others was smooth via skrill. I have been deposited $100 in an InstaEurica account and subscribed a rebates program with InstaForex broker, where I get 1.5 pips rebate on per trades. I am trading with their MT4 platforms, which are reliable to me so far. As all of my orders are executed smoothly and I can be customized an EA, which brings profit for me. Also in manual trading, I can use many technical indicators and tools in a user-friendly screen. I most say about the autochartist and one-click trading, which helps me to analysis for making a successful trade and gradually increasing my balance. That's why I'm very impressed with them. InstaForex has a stable payment system too, while all of my transaction proceedings via Skrill and my average withdrawal happened within 4-6 hours. So I happy with InstaForex rebate system. I attached my trading account to their PAMM system as a PAMM investor last month and was not even bothered by the dramatic changes of the market rates, because the PAMM trader knows how to get the best price. In fact, he's one of the top performing PAMM traders on the PAMM monitoring system. The 1st profit I received was on October 12 amounting to $352.7 and it was fairly distributed. Anyway, the reason I chose to invest on PAMM is that I am busy travelling abroad and impossible for me to manage and monitor my account daily. I am become profitable trader after joining InstaForex broker. I prefer their platform execution and fair price quote. Obviously, I say they are the best broker for the Social trading system and great platform tools. As ForexCopy and PAMM service. I have been followed both services in a Standard account last two years and I have been used the Autochartist, one-click trading, patternGraphix, superior forex desk tools. Here I am secure with two-step authorization and verification on my account. In Last months I got 140$ USD commission from PAMM system and I got $80 profit from ForexCopy trading. Although my initial investment was $100 and now my balance up to has $500. I prefer 30% bonus after each deposit and Skrill payment system for instant action. My all withdrawals are hassle-free too. The important things are technical analysis and educational article from them. because still, I am learning many things from Instaforex's website. So I say their activities as like a professional broker and the best in the market. This is a good trading platform with all needed instruments that a trader need, I have really had a good experience trading, with InstaForex. This broker allowed me to me to start trading with any amount I am convenient with, which I started trading with $100, I trade mostly bitcoin on the platform, and I have really made some profits so far, although I faced the challenge of verifying my account when I just opened the account, but with the support of the customer representative, this issue was resolved. Currently have 3 accounts with InstaForex all with an average sum of money in it. Deposits and withdrawals have never been an issue on InstaForex platform. InstaForex is the most perfect broker that I ever know, their trading policy works great for me and I'm sure all traders agree with that. I join trading with them 1 years ago an until now I have lots of profit. Every trading I put at least 200$ to trade, and luckily I earned huge profit about 40%. No problems with withdrawals process even I made request in the night, and there is no issues while trading. I think every trader should try and won your own trading profit with InstForex, read the trading policy so you know how it works. After trading for quite a while now, I learned a lot of things both the hard and easy way. My primary broker has been Instaforex because their service has been sufficiently consistent and I have been profitable and became a better trader. For 3 years now, they have been upgrading their services and they have a lot of good contests and running a lot of fun campaigns.I have even won in some of their contests and the winning funds were deposited in my account in a week. Their service is very nice and timely manner. I appreciate them to become well in future. That was the year 2008 when I started to join them. I didn't invest my own funds that time, instead, I used the bonus that I earned from the "Bonus for posting" campaign on the MT5 Forum as my starting capital. I deposited the profits that I earned from the said campaign in my real trading account. That was $384 and it was automatically credited to my account via Skrill. Since then, I always copied deals from the expert and it's quite effective because the result of my trading activities has been quiet impressive until now. Some of my earnings were also invested in the PAMM account because I don't have enough time to monitor and manage my account due to hectic schedule. The result of my investment in PAMM account is fruitful because I was so lucky that the PAMM manager who handles my investment was an expert and kind. Aside from that, I would also like to commend the management of this company, the Callback request is very impressive. I have no doubt when trade with InstaForex. It really required a set of trading skills especially about the market analysis and trend to ensure the position buy/sell are ready to be executed or not. I certainly refer and check the daily analysis provided by this broker through the main website. It was very informative and useful for me in order to minimize the loss and of course to maximize the profit as well. Thank You InstaForex. Frankly speaking,I think instaforex is a good broker. All tradings and transfers of money are quick and smooth. I used complained because loss money on the market, but then I found it is my problem, not the broker or the market. My suggestion is that take a good use of the "education" information on their website, and take your time to practice. Then you will find out you can take control and gain money from the market, just like me now. I have been trading with Instaforex for over a year, and have been enjoying their MT4 trading platform which always make my order execution easier, I have really benefited in so many of their services, especially the Pattern Graphix Indicator. Instaforex always giving bonus, there are always competitions with lucrative gifts and always providing complete trading information. After joining InstaForex, I get all that I had been looking only in one broker. They are completely the package and best broker. Besides having a trading system that is certainly without interruption, account security is guaranteed, I was getting excited even make trades because of many competitions organized by the broker so that I can further develop my trading skills. Thus, I want to share my excitement, I got 300$ USD bonus for a deposit of 1000$ in last month. From different kind of bonus offers, I like 30% deposit bonus very much. InstaForex 30% Deposit bonus is available for you to withdraw your money at any time without limitations, even without having your bonus cleared! 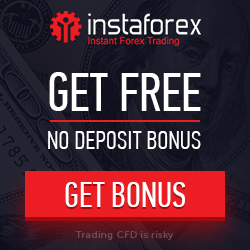 If you are trading with InstaForex I would suggest you take 30% Deposit bonus. The Jaguar F-Type contest of this company is very exciting especially this month. The winner will be announced on October 31. I deposited my 2000USD in my live trading account and until now my account is still on the list. I also joined in their Forum contests and the result was good. Got my profits from Skrill and posted all the withdrawal details on the MT5 forum to encourage everyone to invest online. There were times that I copied deals from the experts and got some trading commissions. The VPS service was a big help for me because my orders are now instantly filled. for safety use any broker who is uk or us regulated! I read horror stories every day... even with the big slide of the swiss franc and negative balances , company like fxcm is still floating. there are so many forum that, these broker have bad image to others.. I can't believe that someone adds the negative reviews about this broker! Instaforex is one of the best at the forex market: excellent trading conditions, fast execution and withdrawals. I'm not even talking about the contests and bonuses. Very reliable broker. I have never faced any depoisitng/withdrawing issue with them. Fast execution (I use Hong Kong server), no requotes. And what's important, you can always reach the Client Support Service by phone. The phone is always available, you don't have to wait for 20 mins until they answer. we read scam report about instaforex, I do not offer it!